With the NHL’s regular season right around the corner, many are excited for what is sure to be another action-packed year of hockey. Right at the center of that fun should be the Atlantic Division, which may be one of the NHL’s weirdest and hardest divisions to project for the 2018-19 season, but for very different reasons at the top and at the bottom. For starters, the Atlantic boasts three of the top teams in the entire NHL in the Tampa Bay Lightning, Boston Bruins and Toronto Maple Leafs. On the flip-side, however, it also happens to be the home of some of the worst teams in the league in the Ottawa Senators, Montreal Canadiens, Detroit Red Wings and even the Buffalo Sabres who will need to prove they can take the next step before they escape such a distinction. With the top of the division looking as stacked as its been in years, there have been some doubts as to what this Boston Bruins team is and where they are heading this season. Are they legitimate Stanley Cup Contenders? Are they a top-three team in the division, destined for a playoff exit ahead of the Conference Finals once again? The uncertainty is understandable and it traces back to the team staying relatively stagnant compared to the Lightning and Maple Leafs getting considerably better from the start of the 2017-18 season to now. 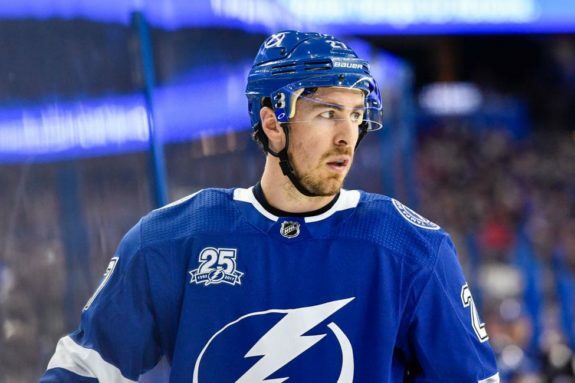 With the Maple Leafs adding John Tavares and the Lightning adding Ryan McDonagh (and locking him up for the long-term), the Bruins lack of a big-name signing or trade that will impact the 2018-19 season has concerned many within the fan-base. This concern also stems from the fact that the Bruins’ best center and best defender are both 41 and 33 years old respectively. If this team is going to win, it needs to win now. Sacrificing some of the future is simply part of the business, especially when winning is the ultimate goal. For those calling for general manager Don Sweeney’s head, however, it would be wise to put the pitchforks down and take a second to breathe before writing this offseason off as a waste. It’s easy to look at some of the players who signed and were traded elsewhere in the league and think “why wasn’t Sweeney involved in these discussions?” With that in mind, though, it’s also important to remember that the Bruins deeply involved on two of the biggest transactions that took place this offseason. 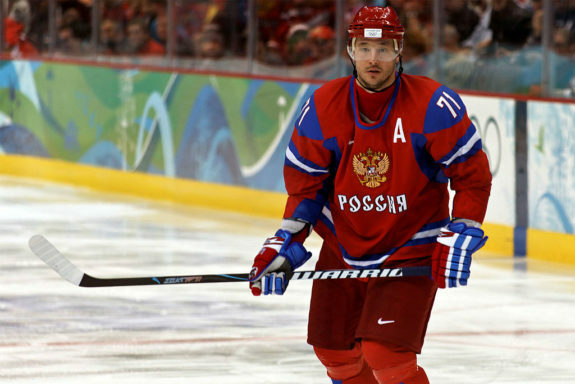 The first came when Ilya Kovalchuk – one of the best scoring wingers of this generation, would sign with the Los Angeles Kings. Though he didn’t end up in Boston, the Bruins were one of the teams looking to sign him this offseason to add some stability on the team’s right side. In the end, Kovalchuk signed a three-year, $18.75 million contract with a full no-movement clause in the first two years of the deal as well as a no-movement clause and modified no-trade clause in the final year. The third year on the deal may seem concerning for a 35-year-old winger who hasn’t played in the NHL in five seasons, but it was simply the cost of business. Though there are concerns, Kovalchuk has still been a force in the KHL every season since leaving the NHL and the Kings are were aggressive in their pursuits of an upgrade. The next major swing from Sweeney came when the team attempted to sign Tavares. 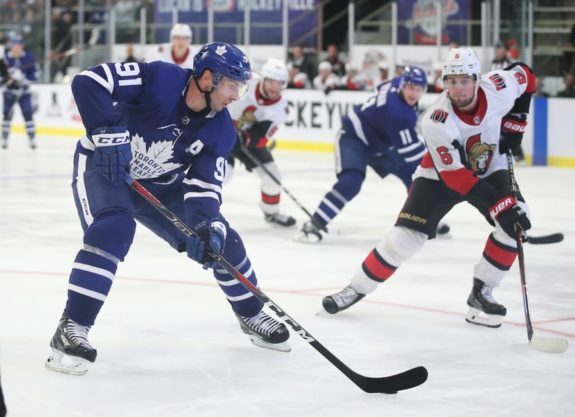 The Bruins, Lightning and Maple Leafs were all finalists in the Tavares Sweepstakes but in the end, it wasn’t money that swayed the cornerstone center, but the allure of playing for his hometown Maple Leafs that led to him signing in Toronto. 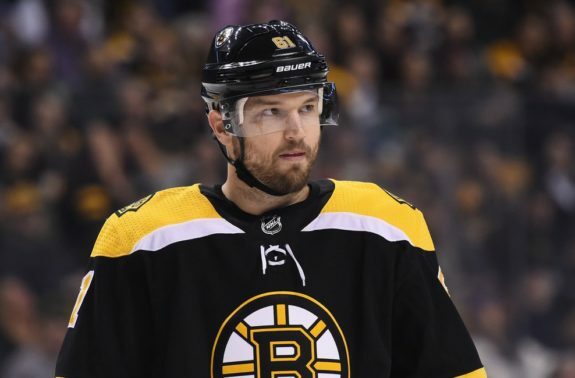 The Bruins pursuit of two of the top free agents on the market should be a good indication that this team didn’t intend on having an “underwhelming” and quiet offseason. Unfortunately, things don’t always play out quite as intended and that was the case for the Bruins with Kovalchuk and Tavares. Only one team could have signed them and the fact that the Bruins were even this deep into meetings and discussions for both should be seen as a positive reflection on how players and agents view the Bruins present and future. Even though the Bruins missed out on two big free agent fish this offseason, they could still have made an impact on the trade market, right? There have been some major trades in the last few seasons that have rocked the NHL landscape for better or for worse. On top of some of the blockbuster deals that have occurred, there have also been major names rumored to be on the trade market that both have and haven’t been moved yet which have caused fans to wonder why Sweeney hasn’t picked up the phone and gotten something done. That would be a very reasonable thought to have if we had any realistic idea about what trade possibilities are actually out there and which teams Sweeney has actually called. When it comes to players like Jeff Skinner, Noah Hanifin and Erik Karlsson who were all moved this offseason, there’s a legitimate reason for the Bruins missing out on all three. 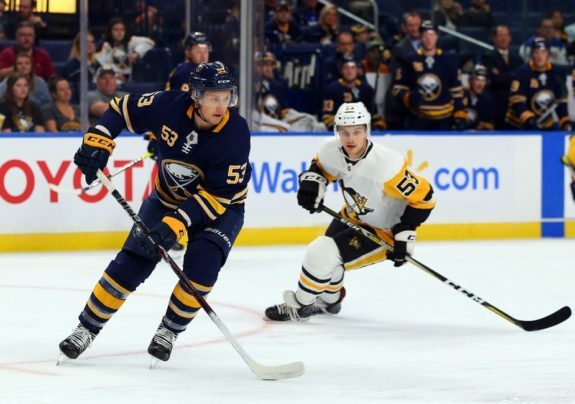 In Skinner’s case, the interest in playing with the Sabres seemed too high to pass up and his interest in signing a long-term extension there played a role. For Hanifin, the Hurricanes would swing for the fences in acquiring Dougie Hamilton and a top prospect in Adam Fox – something the Bruins wouldn’t be able to match. As for the Karlsson trade, a few factors came into play. For starters, the Bruins are not only an Eastern Conference team but also a division rival. The Senators seemed very intent on keeping him out of the conference and the Bruins would have likely been one of their seven most unlikely trade candidates given their Atlantic Division ties. Another thing to consider is the cost for Karlsson – both in trade capital and salary cap on a future deal. The Bruins likely weren’t keen on trading an arm and a leg in a deal that would have looked far more expensive if Ottawa did bend and send him within the division, for the chance of signing a player to a long-term deal and mortgaging their future. As for players who are actually still available on the market, there’s simply no telling who the Bruins have called to inquire about and who they haven’t. Just because insiders aren’t talking about potential trades, it doesn’t mean general managers aren’t still discussing them to varying degrees. For that reason, it’s not wise to objectively state that Sweeney is wasting the offseason by not making a splash. 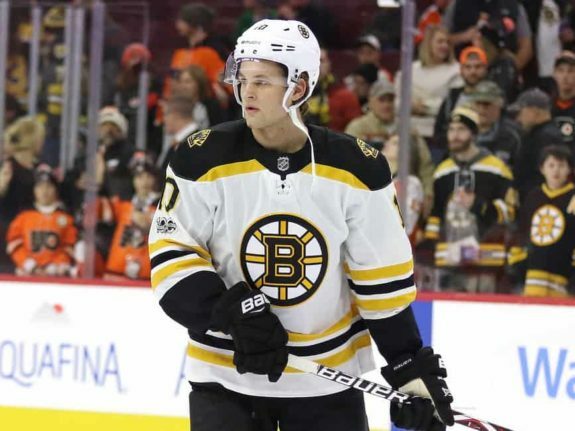 Heading into the 2018-19 season, the Bruins seem intent on seeing what some of their young players can do. Players like Anders Bjork, Ryan Donato, Peter Cehlarik, Trent Frederic, Urho Vaakanainen are all still at camp with the club and could make the roster. Jakob Forsbacka Karlsson, Jakuk Zboril, Ryan Fitzgerald and others were late cuts and could also hear their name called at some point this season if the situation should arise. While there’s an argument that can be made about going with a veteran because they are more reliable than an unproven young player or a rookie, the only way for these young rookies to develop and become proven NHL players is for them to play in the NHL. There are risks associated with this strategy but that could have been said about David Pastrnak, Charlie McAvoy, Brandon Carlo, Danton Heinen, Jake DeBrusk and others as well. There is no perfect formula for winning a Stanley Cup and Sweeney and Bruce Cassidy deserve some credit for what they’ve built in Boston when all seemed lost just a few seasons ago. If the Bruins do find that things aren’t working for them, there’s no reason why they can’t look for upgrades during the season to try and right the ship. The team did so when they added Rick Nash and Nick Holden a season ago and they’re likely going to make additions in-season again this year too. How big those moves will end up being is unknown right now but patience is a virtue. For now, the Bruins are right where they should be in terms of talent evaluation. With a boat-load of assets that can be used to make an upgrade, the Bruins will be just as well off making a trade in January as they would be making one just before the regular season starts.